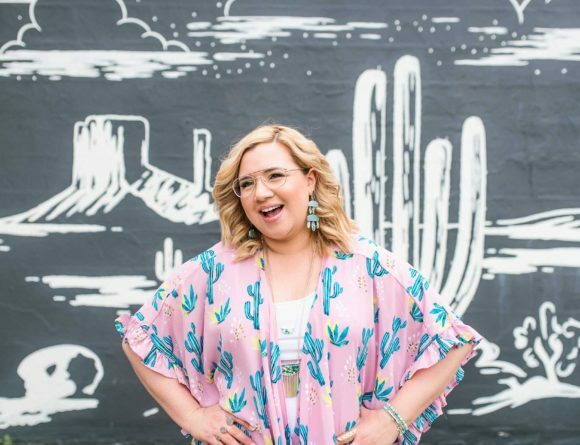 I’m so excited to share this giveaway with all of you because it involves hand-made boho chic items born in the heart of Central America! 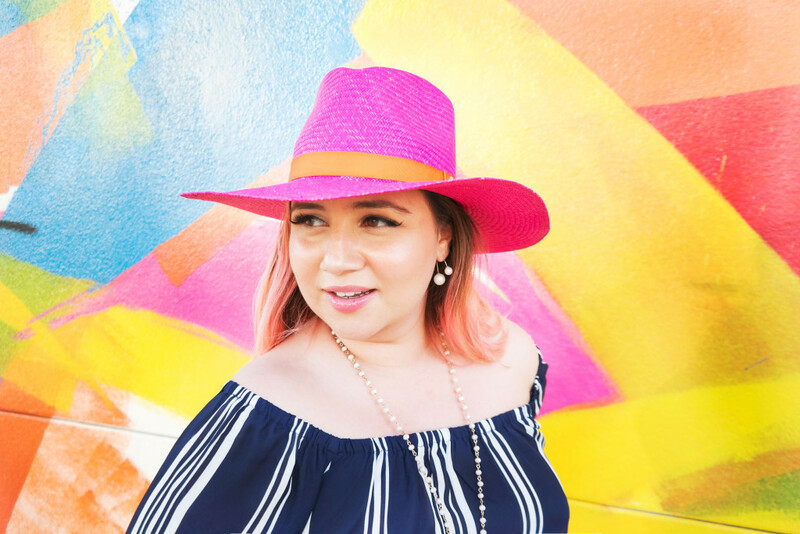 As you may know, I was born and grew up in Honduras until I moved to Houston at the age of 24 and am deeply proud of knowing these amazing one-of-a-kind accessories were created by talented designers in my home-country. 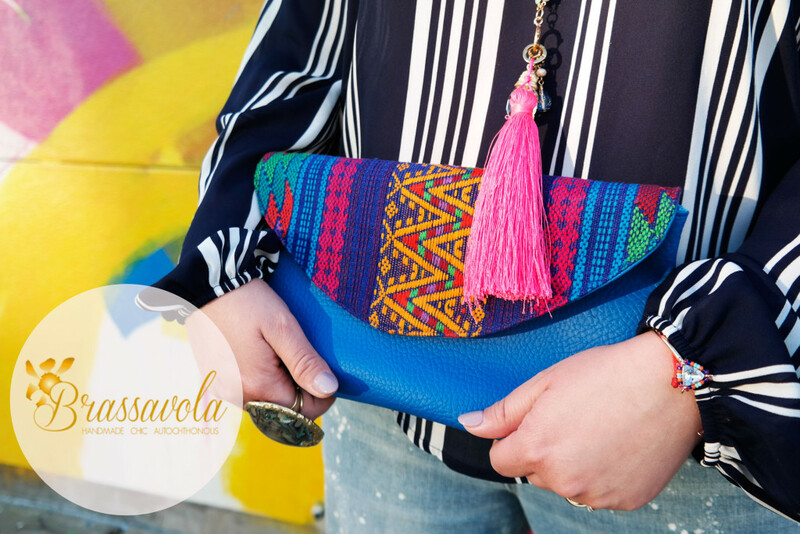 Brassavola Fashion is an online retail destination for anyone looking for quality handmade accessories from Central America like hand-bags, hats, scarves, wallets, and clutches. 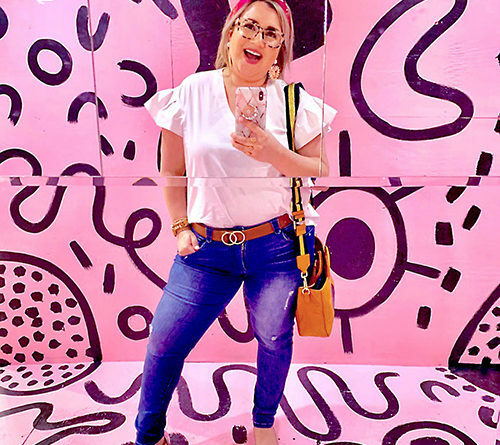 There is also jewelry made by Farah Nazar, a talented designer who is one of my best friends from Honduras and whose designs you’ve seen on this post and this post. I’m so happy I can finally buy stuff from my home-country! E-commerce is not big in Honduras so having this source online means the world to me! You first caught a glimpse of my Brassavola Fashion Rosalila hat when I was packing for We All Grow Summit a couple of weeks ago. This hat is everything! Especially because my favorite color is pink. 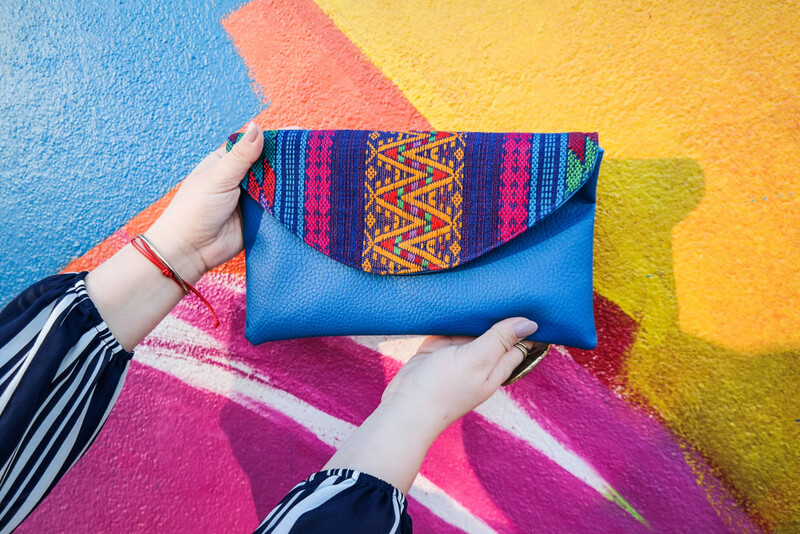 The founders of Brassavola Fashion, who are from Honduras, believe that one of their biggest motivations when starting this venture was to help empower local artisans that live in the developing countries of the region who are extremely skilled with their hands working on different textures and fabric. The name Brassavola is inspired by the Honduran national flower, hyncholaelya Digviana Orchid, which was thought to have previously belonged to a species of the Brassavola Orchids. Like orchids and their unique beauty that is how each piece is intended to be crafted and brought to life. What makes these clutches so special? All of the KM bags collection bags are made out of hand woven fabric autochthonous from Guatemalan artisans and faux leather. It’s a trendy bag that is unique because it detail and cut is handmade resulting a prized acquisition. 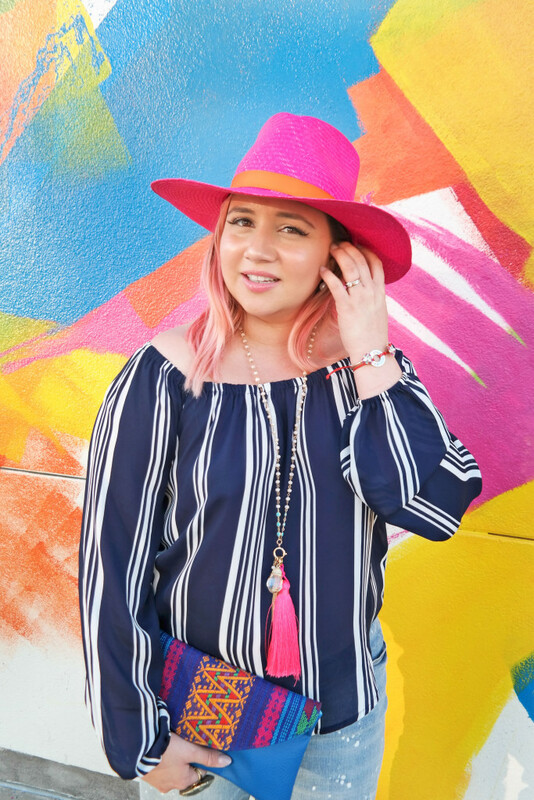 Wear a colorful tassel necklace with any outfit. It’s an easy way to give your look a punch of color. 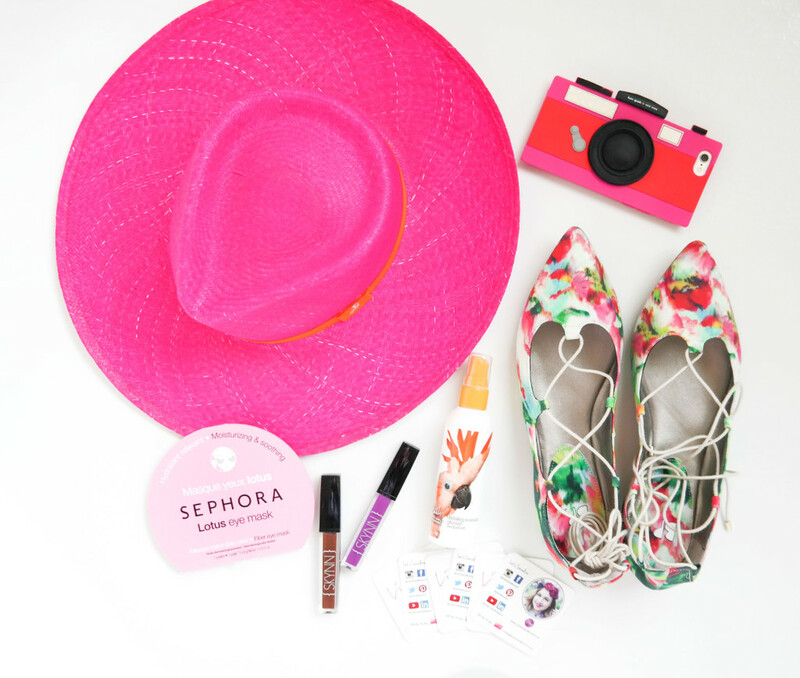 Try some colorful flats! Spring is here and the color possibilities are endless. Instead of a simple straw fedora try a colorful hat for this season. Instant chic! Switch your handbag for one with tribal prints or bright colors like yellow or pink. Mix it up with pattern mixing. 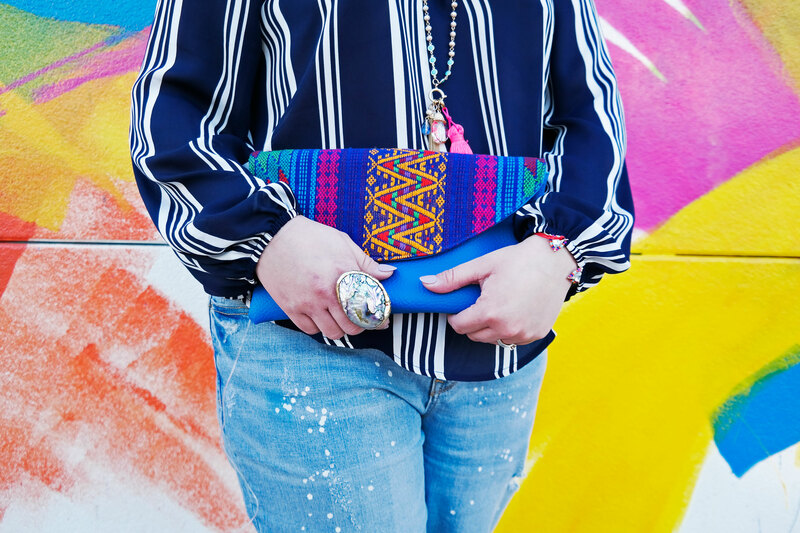 Try a striped shirt with a colorful bag like I did here. 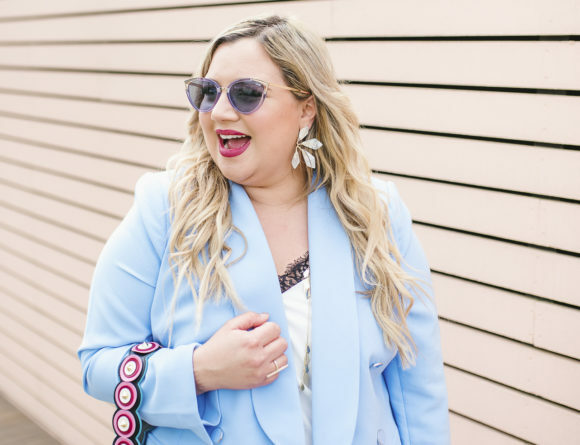 Buying a few colorful accessories are usually less expensive than trying to buy a whole new spring wardrobe.